Since always Mr. Francesco Funaro offers exquisite vintage jewellery, whilst maintaining the style started by his father in 1946. Le Gioie di Funaro, in Milan, offers a wide selection of jewelry and antique watches, silverware and diamonds. Furthermore we offer a wide range of prestigious brands, from which you will have the opportunity to choose items suitable for any occasion. 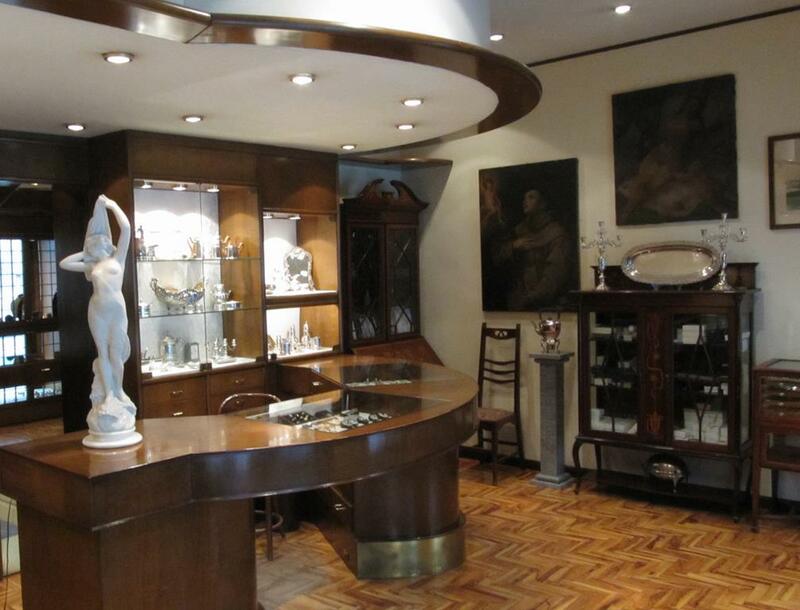 The shop is located in the heart of Brera area in Milan, as always Francesco Funaro offers vintage jewellery, while maintaining the style, sophistication and discretion begun by his father in 1946. It could be called the "family jeweller" to whom to turn to in order to help find the jewellery gift for a special occasion. A wide assortment of Victorian and Art Deco earrings, Liberty bracelets and rings with precious stones, are research that Francesco Funaro performs during his many trips to auctions around the world, focusing on the Americas, Northern Europe and India. Le Gioie di Funaro purchases precious items and performs valuations and appraisals of antique jewellery, silverware, watches, gold and diamonds. Rings, gold gift items, necklaces, diamonds, gold jewellery, silver jewellery, modern jewellery, watches, pocket watches, silver, silver objects and items, collieur, wedding bands, pearl jewellery and necklaces, gold jewels, silverware, gift items, silver frames, jewellery with precious stones, gold earrings, solitaires.